This Martha Stewart recipe popped up on Facebook a while ago as a video, so I thought I’d give it a go. 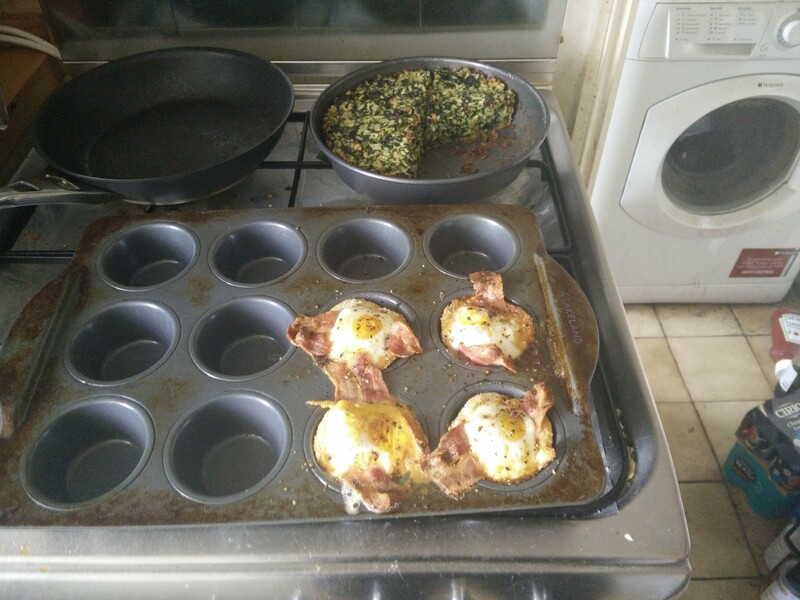 OK it’s more assembly that real cooking… but it looks like a fun brunch. 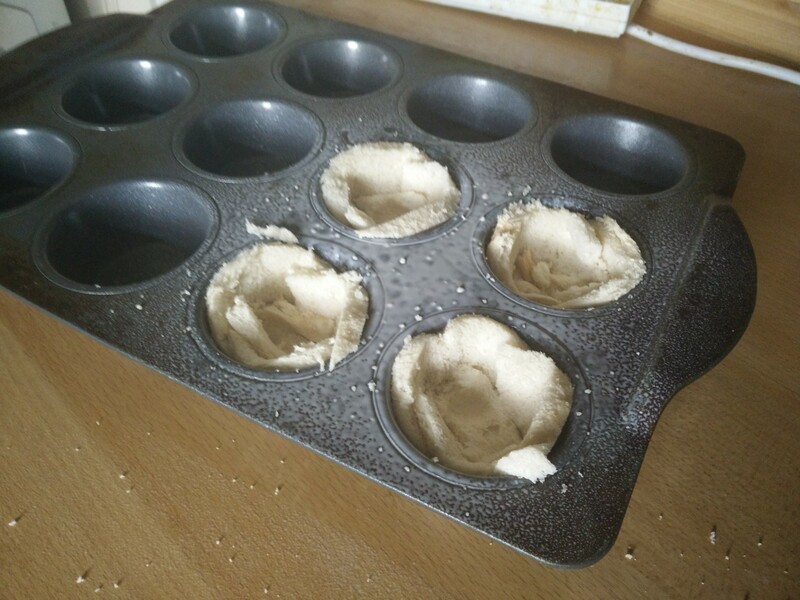 Start by using cheap while bread to make moulds in a muffin tin. 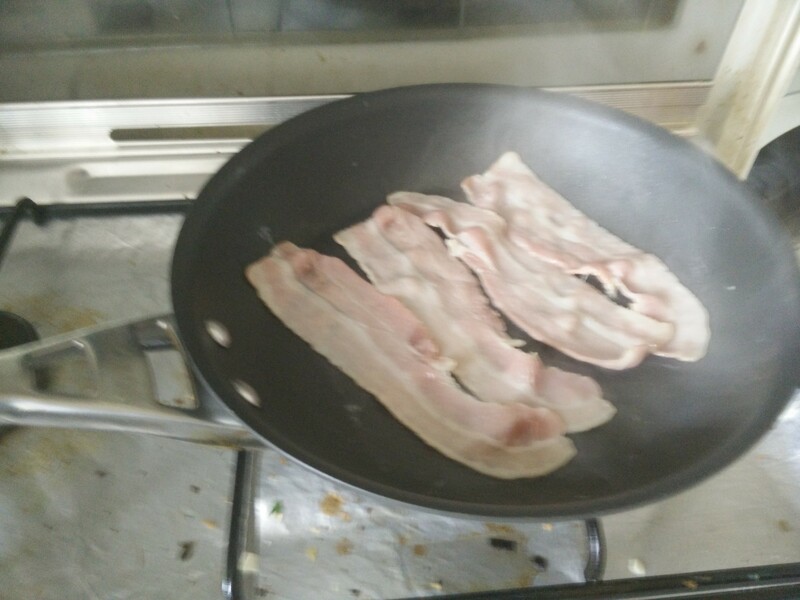 Fry off some streaky bacon. 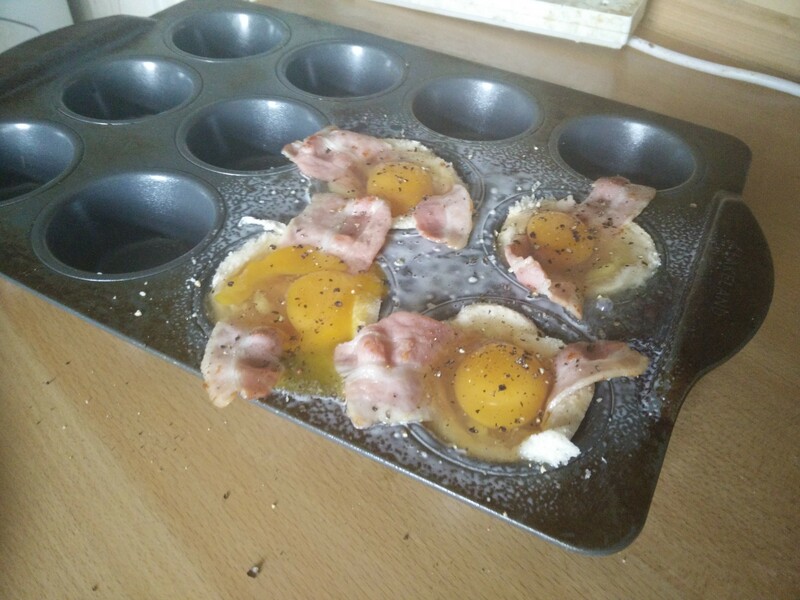 Bacon into moulds, eggs in mould (and a bit over the edges…), and add pepper. Then bake at 180C fan for 20-25 minutes, while also reheating the rice cake from earlier in the weekend. The yolks were fully baked, so things were a bit dry, so we added some ketchup and hot sauce to fix that problem. The rice cake was still delicious, and benefitted from some extra cooking giving it more structure and crisping it up a bit. 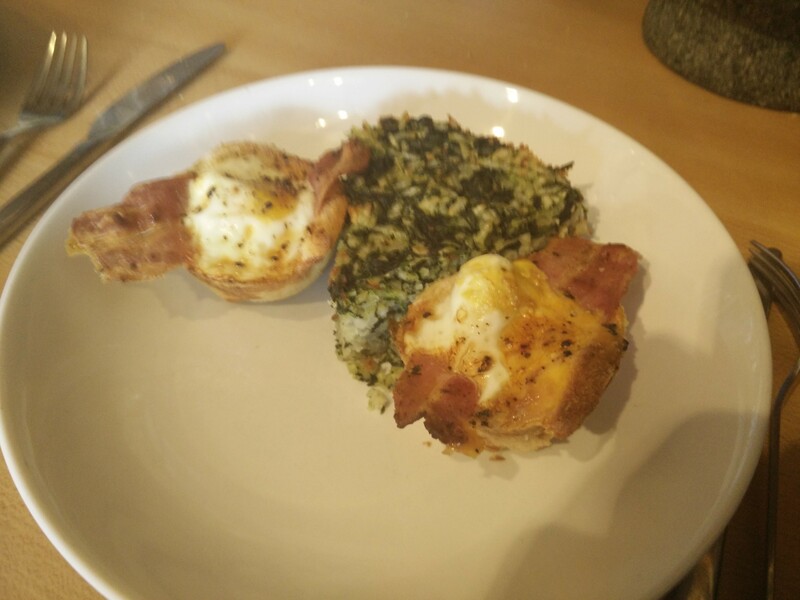 And the egg cups? It’s a fun way of doing a bacon and egg sarnie!